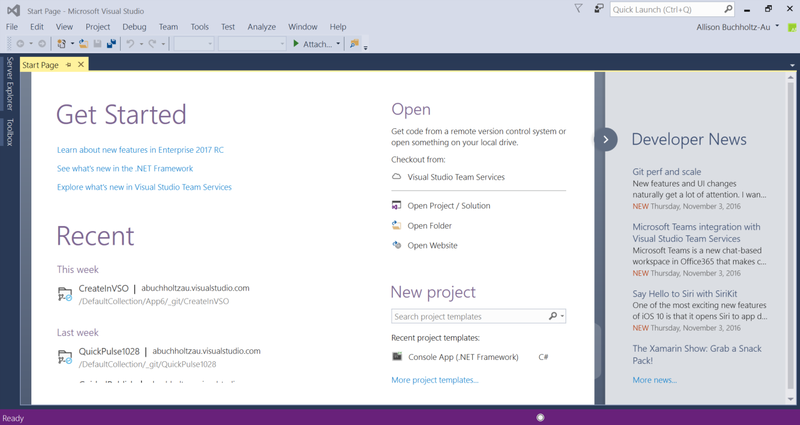 Microsoft announce new version of Visual Studio on November 16, 2016. This new release Visual Studio 2017 RC includes most recent feature innovations and improvements. Note : This is a RC (Release Candidate) version. Visual Studion 2017 RC is better in terms of its predecessor versions. Visual Studio 2017 RC will boosted productivity, great for mobile development, streamlined cloud development and lots more. Known issues This RC version of Visual Studion 2017 has some know issues listed below which will be resolved in subsequent releases. Happy coding with a exciting new experience..! !